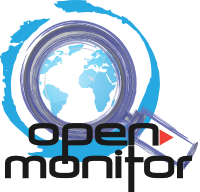 We're proud to announce an Alpha release of Open Monitor! It features a desktop (Windows, Linux, Mac OS X) and a mobile agent (Android only at the moment, iOS coming soon), and with this release, we intend to put these agents to work around the world and begin to collect precious data about internet connectivity all around. During this alpha, we hope to be able to detect and polish all the remaining rough edges for a following beta release. We count on the community to help us test and collect this data that will be already made available in real time through Open Monitor's website for the world to use. If you'd like to try the desktop agent, follow the install instructions here. For the android mobile agent, install from Google Play. mentors, who can apply for travel sponsorship for flight tickets. about open technologies and meet interesting contributors. Would be great to welcome you and GSoC students from the region in Phnom Penh.